at land’s edge is pleased to present a public lecture by Edxie Betts. The event is part of a series of lectures and conversations organized as part of the 2016-2017 at land’s edge Research Fellowship’s public programming. **NOTE**: Child care is available on an as-needed basis. If interested, please email info@atlandsedge.com with the number of children and their ages by Tuesday, November 29. 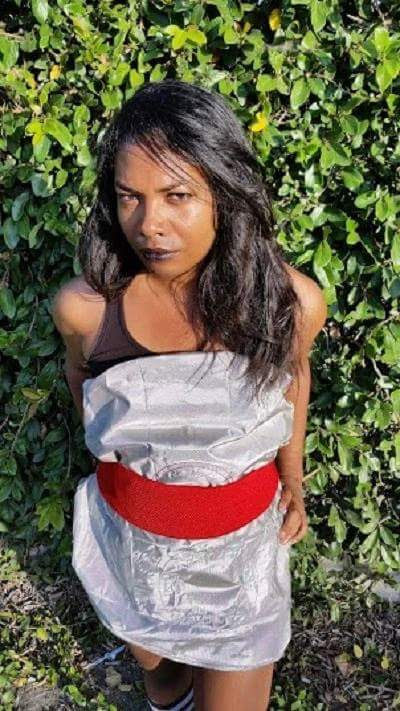 Edxie Betts is a Black Pilipin@ BlackFoot Queer Trans Gender Non Conforming Anti-authoritarian Femme neuro-divergent, autonomous organizer, political cultural producer, and liberation artist. They often present and workshop at different schools/events through out the kkkountry to raise awareness of their collective work, lived struggles, decolonial struggle and the power of reclaiming collective consent. Their existing work consists of critical self-collective reflection, bringing support and attention to political prisoners, restorative mediation work and emphasizing art as cultural production for the sake of inspiring healing, counter narrative, oppositional alternatives, collective liberation through autonomous self-organizing and direct action. As an autonomous platform, we are not tied to any institution, nor are we supported or funded by any patron, nor do we function according to a non-profit model. Our work is 100% volunteer. We are committed to remaining uncompromised in our freedom and our vision. At the center of our practice are people of color, immigrants, the poor, the undocumented, and the indigenous. Together, we build space for shared learning and develop networks for radical political imagination and solidarity. We also create intergenerational, cross-movement, and interdisciplinary sites, where cultural production meets politics and grassroots engagement. We understand these terms of “cultural production,” “politics” and “grassroots engagement” as open-ended, shifting, and rooted in lived experience. Our programs encourage reciprocal exchange among all participants and include research fellowships, public lectures, seminars, workshops, mentorship and skill-sharing structures, publications, and exhibitions.